The TOEFL (Test of the English Language) is one of the most well known tests for assessing proficiency levels in English. This test is recognised by more than 9000 colleges, universities and educational institutions across the world. This test has been conducted in over 30 nations including the UK, the United States, Canada and Australia. The TOEFL test is one of the most widely accepted tests for international students to prove their proficiency levels for English medium courses. According to the ETS (educational testing service) website, TOEFL is administered for those who want to apply to English medium programs. It provides the tools and skills to help you prepare for the test and improve your language skills. The TOEFL test is administered via the internet at specific testing centers and there is also a paper and pencil version of it. The internet based TOEFL test can be taken through the internet more than 50 times a year at authorised test centres across the world. 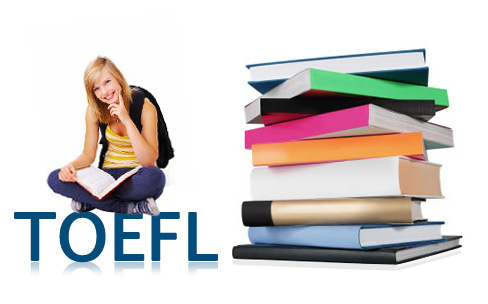 The TOEFL paper based test is offered in areas where internet based testing is not available. According to the official website, more than 27 million people from across the globe have taken TOEFL tests to demonstrate proficiency in the English language. Average English skill level ranges between Intermediate and Advanced. This includes students who are studying at higher educational institutions, those who want to enter English language programs, scholarship and certification candidates, learners of the English language who want to test their proficiency as well as students who want to get a visa. The TOEFL internet based test measures the capability to use and understand English for university students. It assesses how well students can combine their listening, speaking, reading and writing skills in English so that they can successfully carry out academic assignments. The TOEFL test is conducted in English. There are 4 sections namely reading, writing, speaking and English. These take about 4 and a half hours to complete. The 4 skills are combined so that the tasks performed require a combination of skills. From March, 2013, the Listening and Speaking sections of the internet based TOEFL include other native speaker English accents along with North America such as Australian an British. ETS is adding the accents to reflect the variety of native English speakers taking the test. For internet based TOEFL testing, you can get complete information regarding the registration, ID requirements, forms, score reporting information, procedures and policies. Test takers with disabilities or health related needs can read the Bulletin Supplement. Destination Search, what is required on the test day as well as internet based centres and dates can be obtained from the online registration system. There is an online registration guide as well as a registration form. There is also a report provided for regional registration centers in PDF format. In case you are registering for the test by phone or mail, you need to have access to the code lists which are available online. There is a destination search where you can contact the institution directly if no code is provided. Apart from department codes, there are also country and region codes as well as native language codes. Also available in PDF format are the additional score reporting request form, the internet based rescoring request form, performance feedback brochure, scoring guide as well as sample responses for writing. You can prepare for the test using the resources provided on the official website. Registration is open 24 hours a day for each day of the week. You need to spell your name as it appears on the ID you will be carrying on the test day. For identification requirements, you must check the official website. You need to review the registration form available in PDF format before you make the call. Make sure the spelling of your name matches as it is given in the ID tag. If you are in the US, or its territories and Canada, you need to call the phone number given on the official website. For all other locations, you need to call your Regional Registration Center. Last registration by phone ends at 5 pm local test centre time on the working day prior to the test. It attracts a late fee of US $35. You need to download and fill the registration form in PDF format. Again, the spelling should match what you will carry as identification on the day of the TOEFL test. You need to select one of the payment methods on the form. Send the form along with the payment to the address given on the regional registration center (PDF). Mailed formed must reach the test centre at least 4 weeks prior to the test date. Those who do not receive a confirmation should call the location to which the form was sent 3 days before the registration deadline expires. Certain codes need to be entered manually if you register by mail. In certain areas, test registration vouchers with local currency can be bought. You can also register in person at the TOEFL resource centre. You need to check identification requirements. You can also register using the voucher available online. Registration deadline expires 7 days prior to the testing date. Late registration must be done within 3 days prior to the test date. It has a late fee of $35. When the registration has to be done, make sure you check that the name matches that given in the identification carried on the test day. The TOEFL Test can be retaken as many times as needed but registration can only be done once in a 12 day period.